Downer: Today marks the seventh anniversary of the Christchurch earthquakes. We stand together to reflect and remember those who we lost, and reflect on the journey it has been. Seven years on we remember those who lost their lives in the devastating 6.3 magnitude earthquake in Christchurch in 2011. Downer stands in solidarity with the people of Canterbury, New Zealand, to remember the 185 people who lost their lives, and those who continue on the challenging journey of rebuilding their lives. Downer acknowledges the hard work and dedication of the New Zealand team from the moment the earthquake occured. Here is just a small snapshot of some of the memorable rebuild projects, though we know that the journey still continues. 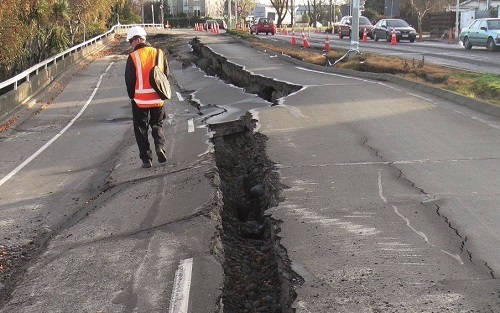 The Stronger Christchurch Infrastructure Rebuild Team (SCIRT) was a virtual organisation created in 2011 to rebuild Christchurch’s earthquake damaged horizontal infrastructure. SCIRT’s job was to provide a cost-effective and efficient vehicle to quickly get the city's civil infrastructure back on its feet. SCIRT’s $2.2 billion five-and-a-half year programme was funded by the New Zealand Government and Christchurch City Council. It involved more than 700 projects across the city repairing and rebuilding underground sewage, storm water and fresh water pipes, rebuilding wastewater pump stations as well as roads, bridges and retaining walls. Downer was one of the five partner organisations within SCIRT. Downer's New Zealand team was at work right from the beginning, helping to reconnect vital communication lines throughout the city including the telecommunication network and fibre networks. This came alongside the rollout of Ultra Fast Broadband, which helped to ensure that Christchurch is set up for the future. Christchurch's Bridge of Remembrance and Memorial Arch was one of the city's most treasured historic structures left standing after earthquakes scarred the region. A powerful symbol of the rebuild, Christchurch's iconic Bridge of Remembrance and Memorial Arch has now been returned to its full grandeur. Watch the video below where Alex Mowe, Project Manager, highlights some of the challenges that the team have faced along the way. There are many significant commercial and civic buildings that the Hawkins team have revitalised since the quake, including the iconic Christchurch Town Hall and the Christchurch Temporary Stadium. An Accessible City (AAC) is about making the central city accessible to all members of the public, whether they travel by bus, car, cycle or on foot. Downer is working on the creation of separated cycleways, enhanced one way systems, arterial and intersection improvements, and urban landscaping to create public friendly spaces. The Avon River Precinct is a design and build project for Otakaro to construct and enhance a new city waterfront, helping to provide easy access to the river surrounds. A key feature will be a paved City Promenade extending two kilometres through the heart of the precinct on the eastern side of the river, replacing Oxford Terrace.